Do you want to get stronger and more powerful? Build more lean muscle mass? Improve your muscular endurance? Achieve a better level of overall fitness? Regardless of your goal, strength training is the way to go, and some of the best exercises are the tried-and-true, old standards, like the Squat, Deadlift, Romanian Deadlift, Bench Press, Row, Shoulder Press, and Pullup. There are lots of exercise fads, gadgets, and gimmicks on the market, and a seemingly endless array of commercials and infomercials touting them as the “next best thing.” And, while there is probably some merit to anything that gets people moving, you can’t do better than weight-bearing exercises that engage multiple joints and muscle groups using complex movements. 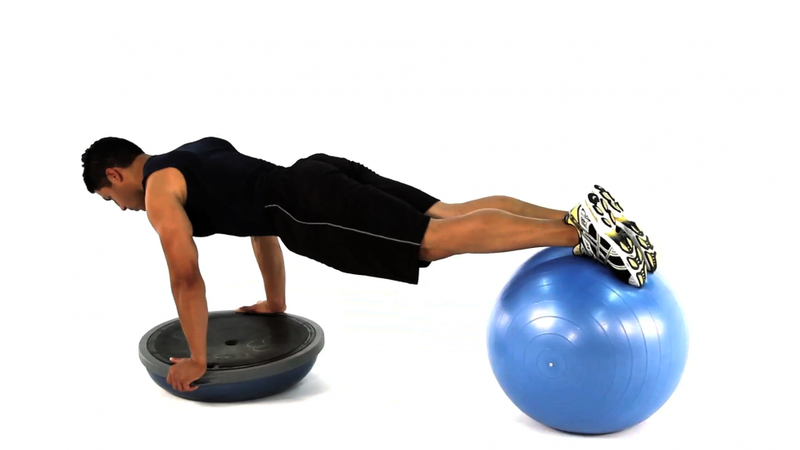 You can perform this exercise with dumbbells or a barbell, or using only your own body weight. Single-leg squats are also an excellent, change-of-pace, variation. 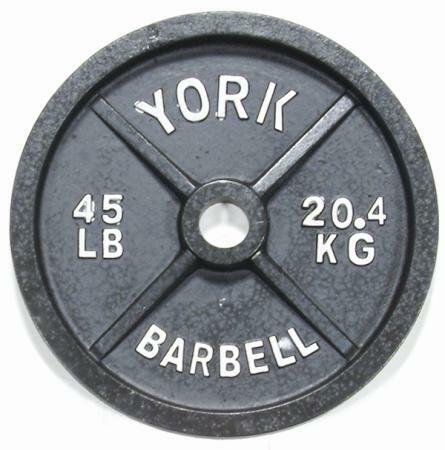 Although this exercise is frequently performed with a barbell, we favor the trap bar. It allows for safer execution, through better ergonomics, while not sacrificing any of the strength and muscle-building benefit. One of the best exercise for the muscles of your posterior chain — lower back, glutes, and hamstrings (We also really like the glute-ham raise). Also try the single-leg RDL. Perhaps the best upper-body strength and muscle-building exercise. 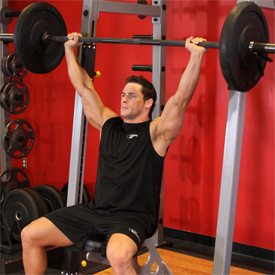 We also like the dumbbell bench press — done simultaneously, alternating, or iso (single-arm). The bent-over row, using dumbbells or a barbell, is a great “agonist-antagonist” (opposing muscle group) complement to the bench press. The vertical version of the bench press, this exercise will also engage your core. All the same variations apply. Wide grip, narrow grip, overhand, or underhand — this exercise will challenge you. The lat pulldown exercise is a suitable variation if you’re not yet able to perform the pullup. If you’re looking for a little variety in your training routine, here’s a workout for you to try: The 10-5 20 Workout. This 3-day per week workout combines the benefits of muscle building (hypertrophy), strength and power development, and muscular endurance. Exercise selection is at your discretion, although we encourage total-body workouts and not “body-part” training. Additionally, we suggest keeping the same exercises for the entire week. If you’re an athlete training to improve your performance, developing a strong, stable core — shoulders through hips, and not just abs — should be a priority. Since every athlete’s strength and power are generated from the core musculature, movement-based, multi-joint exercises — including rotational and anti-rotational exercises — are important components of a well-designed strength and conditioning plan. Although the article addresses soccer, the principles apply to all athletes and sports. Yesterday morning, I had a discussion with one of my customers about the extent to which an individual should push him/herself when working out. How do you know when you’re done and what if you feel like you could be doing more? First of all, keep in mind that your training should be goal-oriented, and your training plan should be aligned with your goal(s). Whether your goal is building muscular strength, power, size, or endurance, there is evidence-based research to support a specific plan for each (please see previous posts on volume, load, and repetition). There is virtually no evidence to support exercising to the point of exhaustion; more is not always better. Research has demonstrated that full muscular activation is/can be achieved before you reach a state of exhaustion or fatigue. Additionally, fatigue adversely affects range-of-motion and technique, which can compromise your gains and increase the likelihood of injury. It’s okay to push yourself, as long as you have a plan — and follow it — and train with a purpose. This, the final entry in my Resistance Training series, will discuss rest periods – the recovery time between sets and exercises. Rest period length will depend on the athlete’s training goal, intensity, and status (physical condition). Volume – or volume load – refers to the total amount of weight lifted in a training session. A set is a group of repetitions sequentially performed before the athlete stops to rest. Volume is usually calculated by multiplying the number of sets by the number of repetitions times the weight lifted per repetition. Single-set training may be appropriate for untrained individuals or during the first several months, but many studies indicate higher volumes are necessary to promote further gains in strength, especially for intermediate and advanced resistance-trained athletes. Performing three sets of 10 repetitions without going to failure enhances strength better than one set to failure in 8 to 12 repetitions. 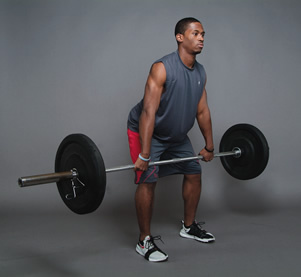 Load is the amount of weight lifted (pushed or pulled) during an exercise set. It is an important component of a resistance training program. One-repetition maximum (1RM) is the greatest amount of weight that can be lifted with proper technique for only one repetition. Repetition maximum (RM) is the most weight that can be lifted for a specified number of repetitions. For example, if an athlete can perform 10 repetitions with 200 lbs in the bench press exercise, his or her 10RM is 200 lbs. Multiple-RM based on the number of repetitions planned for that exercise (the goal). Load and repetition assignments should be based on the athlete’s training goal. If the athlete’s goal is Strength development, loads (%1RM) should be 85% or more; repetitions should be 6 or fewer. If the athlete’s goal is Power development, loads should be 75-90%; repetitions should be in the 2-4 range. If the athlete’s goal is Hypertrophy (muscle growth), loads should be 67-85%; repetitions should be in the 6-12 range. If the athlete’s goal is Muscular endurance, loads should be 67% or less; repetitions should be 12 or more. As the athlete adapts to the training load and repetitions, it’s important for the Strength and Conditioning professional to have a progression strategy. Advancing exercise loads ensures that improvements will continue over time. 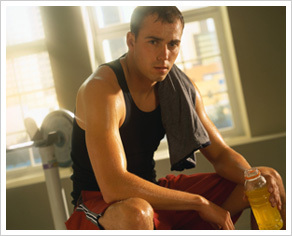 It is necessary for the trainer and athlete to monitor and chart each workout and the athlete’s response to it. The quantity of load increases, when progression is warranted, should generally be about 2.5-10%.